It seems like every business has an innovative product or service, or are adopting innovation mindsets to help level up to survive and thrive in a world where margins are getting thinner and customers are overwhelmed with choice. And, for many B.C.-based businesses, adopting this approach towards innovation is becoming a core function of their business as they strive to grow. Here we present three key areas where business can innovate and will grow throughout 2016. We all know that business moves fast these days. It's not only about first mover advantage but also how we can all be agile and innovate our businesses on a daily basis. 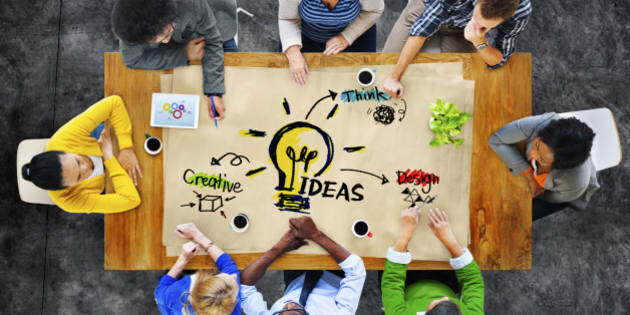 One particular trend that is growing is to connect your teams to allow for ideas and feedback to happen instantaneously. The Vancouver and San Francisco based company Slack is making a huge impact in the business community. They've grown from 500,000 users, in February 2015, to over 1.1 million daily users in June 2015. Users log in to Slack for over 10 hours each work day, send over 300 million messages a month, and spend over 100 million hours on the platform every month now (source: Fast Company). Other platforms, like Ethelo Decisions, are helping businesses like Vancity, Portland House Society, and the Government of Canada tap into the wisdom and collective intelligence of their employees, stakeholders, and customers to drive faster and better decision making along with the creation of roadmaps for their business offerings and operations. It's a new way to run collaboration in your business. There has also been an explosion of co-working spaces across the province. Spacekraft in Burnaby, Co+Lab in the Okanagan, SquareOne in Nanaimo, and initiatives like Qualicum Beach Digital Workstation connect the local talent to share ideas and build businesses in a collaborative environment. In addition to these there is the BC Acceleration Network, 13 accelerators across the province that support the growth of hundreds of startups. In 2016 we will see any more entrepreneurs, both young and more established, come together through these platforms, programs, and co-working spaces. We often hear that it's really tough for local businesses and startups to get hold of the right technical resources they need, when they need them. This trend will only intensify in 2016. Businesses will have to get creative and look farther afield. In 2015 a B.C.-based company, LocalSolo, saw this challenge and launched onto the world stage with a global platform for connecting your business with great business, creative, and technical talent. The platform now has over 20,000 freelancers and 5,000 employers located in in 89 major market cities around the world...and growing. A number of companies are also helping create talent locally through accelerated learning programs called 'code camps'. Lighthouse Labs is one such B.C. code camp that is helping people across the province transition into becoming skilled developers with real career opportunities. This new curriculum-based education is highly practical; within three months students can pivot their career and become part of the tech innovation landscape. Lighthouse Labs is seeing an impressive 100% employment rate for job-seeking students within 90 days of graduation, and 9 startups have been founded by graduates of the program. Lighthouse Labs will run a coding camp for high school students at the #BCTECH Summit in Vancouver on January 19. More than 200 students will get an introduction to this important skill that could shape their future. The Sharing Economy is all about giving people access to what you have and reducing personal ownership. The Crowd Economy is about connecting with people that want to support and see your product enter the market and be successful. Both are based in community and can be seen as true social media with a value and utility. Here in B.C. we see grass roots to larger scale ways to activate the sharing economy for businesses. The Vancouver Public Library launched the Inspiration Lab in mid-2015. It provides a hands-on digital media hub with sound studios, video production and editing, analog-to-digital conversion, and self-publishing software. It's available to anyone - business or individual - and it's free. We also have Modo, Car2Go, Evo, Go2Gether, and even the Vancouver Tool Library helping us have to free or lower cost services. Expect more tech companies to join this movement and launch their own companies to compete in this new economy. B.C. is also leading the way with great thinking of how to engage the crowd in raising capital. We are seeing crowdfunding platforms like FundRazr raise money for nonprofits and good causes, or businesses we have Front Fundr and Grow that use today's technology to enable entrepreneurs to raise money from a much larger investor community. It's more connective and hopes to be able to unlock the investments needed to keep pushing forward. 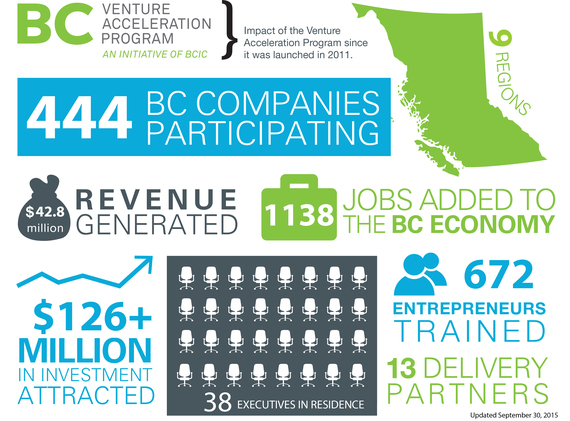 All of these areas will grow rapidly in 2016 with B.C. businesses engaging and adopting their platforms to help grow their teams and raise money when required. This means that there will be less of a financial burden that could hinder innovation.